When is a webinar an excellent solution? 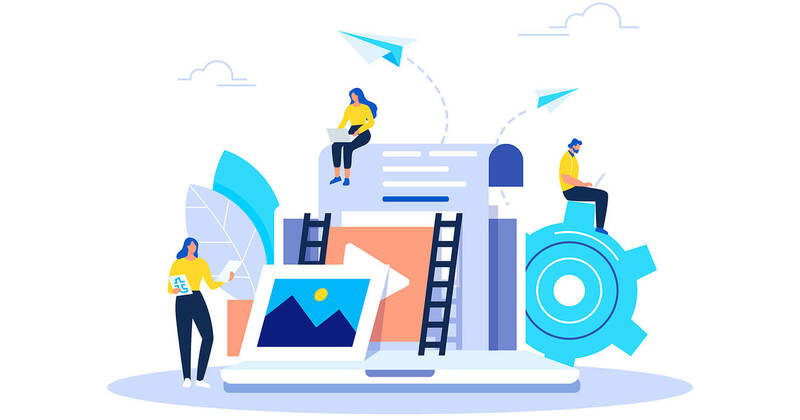 A webinar is an online event held in the form of a seminar or conference in which hundreds of people located in different countries can participate through the Internet. Typically, for such an event you can use a variety of platforms, such as YouTube, Google Hangouts, GetResponse and others. Everything is the same as in an offline event, but it all takes place online. The organizer manages the process, the speakers present, and the listeners attend and watch the presentation on the screen or listen to the audio presentation. Sometimes speakers also broadcast their video, which is optional. Typically, an entry and spread of the presentation are sent to participants after the webinar. You are limited only by your imagination. An online event gives your audience the opportunity to learn something new without spending a lot of time, energy and money. To attend an offline conference, they have to travel somewhere, book a hotel, spend time on the road and waste a lot of money. Of course, many people may not visit you offline. 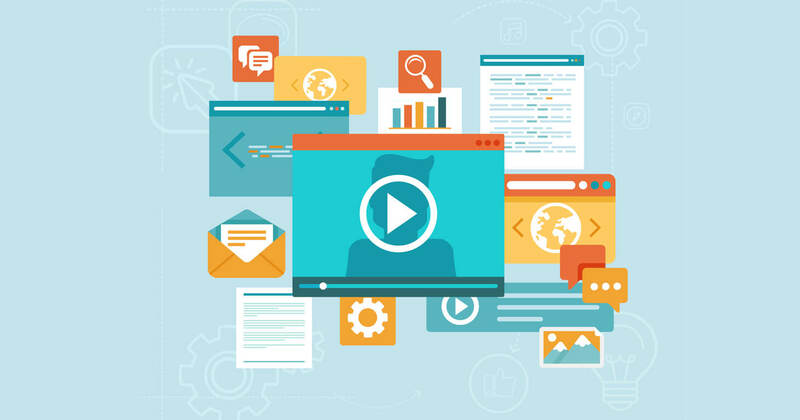 Webinars allow all participants to maintain flexibility; this is why a webinar is a very popular and efficient means of sharing information with your audience. To help you create an excellent webinar, we have collected 10+ tips which will be useful for beginners, as well as those who have already created a couple of online events. Knowing your audience is the foundation. You must start at this point because without understanding your audience’s desires and needs, it is hard to hit the mark. Who will attend – gender, age, language, etc.? What problems do these people have? What goals can they pursue in my webinar? Address these questions and your event will be of high value. The second step is to choose the topic of the presentation. Usually, people attend a webinar to learn something new or find answers to their questions. Your goal is to give people what they want. For example, if your audience consists of young parents, they will be interested in the topic of traveling with kids. In that case, it would not make sense to create a seminar about extreme travel. Therefore, the second step follows from the first – understand who your listeners are, then find a topic that will interest them. Ask your audience which topic they want to learn about or discuss. Do this on social media because it is more convenient to share ideas there. Don’t choose a topic that is too broad, as it will be hard to find an audience that is interested in it. Select a narrow, specific topic and find its target audience. If you do this, people will be interested in attending and will stay from the beginning until the end, which means you will get better results. Evokes a feeling of trust and authority. If you have attended webinars in the past, you probably know that the audience’s impression of the webinar is based on its speaker. This is why it is important to find a good one. You can invite an industry expert or professional speaker, or deliver a speech yourself. Do not choose someone simply because he or she has the best speaking skills, as such skills are worthless if the person is not well-versed in the subject. Strike a balance among all components. While online events are generally convenient, your choice of time will affect the number of people who attend. Therefore, choose the time wisely. Different countries have different time zones. Choose a time so that most of your listeners will be participating between 9 am and 6 pm. Your choice of a workday, weekend or holiday can influence attendance. After the webinar, solicit feedback about the date/time from listeners. Keep in mind that finding the perfect time is impossible. There will always be people who can’t attend. This is normal. Focus on the majority. To broadcast live, you must join a webinar platform. Complete this step in advance, as the next step – promotion – is impossible without it. Choose the one that is the best fit for you. Look at the features that are available to speakers and listeners. Also keep in mind the limits. Usually the fees are based on the number of people who can simultaneously connect to your event. One of the worst things that can happen is that you reach your limit during the event and those who wish to connect cannot do so. For example, if you had space for 1,000 people, but in reality 1,200 tried to attend, that means 200 people were turned away. Make sure you avoid such a situation. The attendance rate among those who subscribe is usually 30-40%. As we already wrote in an article about the mobile version of your website, in some countries over half of people access the Internet using only their phones. Therefore, do not forget about mobile users who will access your webinar. This advice is valid for everything: the landing page, the webinar itself and any other elements with which your audience interacts. Buy advertisements on Google or Facebook. A more detailed webinar plan. Of course, you should convert your landing page visitors into participants. To do that, embed a subscription form where the visitor can leave his or her email address; this way, you can regularly remind visitors about the upcoming event. It’s a good idea to start promoting the webinar as soon as you choose the topic, the structure and the day on which you will hold it. You can develop the speech and presentation while you work on advertising. Whether this is your first or hundredth webinar, you must prepare for it. Create a plan for your webinar. Then create a script for your speech and prepare the presentation. The script is your assistant, but don’t read it all; just follow your own plan and speak freely. The speaker’s voice should contain as few parasite words as possible. The tone of your voice should be understandable; convey the sense that you understand the topic and are happy to share your knowledge. Don’t be too fast or too slow while speaking; find a balance. Apart from your tone of voice and speed of speaking, you can prepare jokes to ensure your webinar isn’t boring. A good sense of humour can attract the audience’s attention. Also be sure to look at the camera sometimes while you’re talking. Many people are not able to look at the camera because they are shy or anxious. However, for effective communication, eye contact – looking at the camera – is important. Prepare a presentation that will represent and explain the topic. The presentation should not repeat your speech word by word. It should disclose even more about the topic or show something that cannot be told in words. Your speech involves sound perception, while the presentation is visual. The main reason why people come to a webinar is to see a live demonstration. So, if there is something to show – show it! However, do not include too much content in the event. It’s hard to focus for over 40 minutes, so try to keep the webinar within this time frame. When everything is ready, rehearse. If possible, have someone listen to you and provide feedback. Or, you can record your rehearsals and watch them to learn how you can improve. All these emails are also ways to promote additional content for a highly interested audience. Therefore, add content using the statement “You might also be interested in”. If they cannot attend, to receive slides and recordings. If you have these options, send a reminder about the beginning of the webinar only to those who registered for the webinar; then send a recording after the webinar to those who requested one. Also send a recording to those who attended the webinar. Following our instructions, you will avoid most of the common mistakes. However, there are some mistakes that beginners still make. Don’t be nervous and don’t panic during the event. The audience will feel it and their experience could suffer. It can be difficult to relax, but remember a simple thing – just one person is in front of the computer. Even if 1,000+ listeners are on your webinar, they are not sitting together. Imagine that you are delivering your speech to one person, like on Skype or Whatsapp. Of course, do not be afraid of making a mistake. We are all human, and mistakes happen. You can always joke about any unexpected problems. Expected issues should be resolved in advance to prevent them from occurring during your presentation. Be very careful about your Internet connection and surrounding noises. Mute all apps and devices and close the windows in the room. Switch off all Internet users except for the webinar platform. 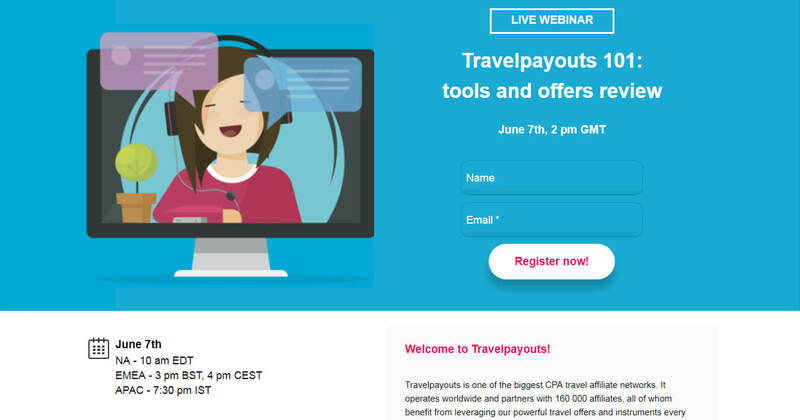 During the webinar, remember its purpose – for example, to generate traffic for your flight tickets website so that you can earn with Travelpayouts, or to sell your services or goods. Also think about the listeners – they have come to learn something, so teach them. Start on time. If you wrote that the event starts at 2 pm, that’s when it should start, even if not every attendee has joined. To avoid problems, during the first 3-5 minutes – when most of the attendants will join – you can speak about organizational matters, then start on the main issue. After your speech, give people the option to ask you questions. A Q&A is a tool for both sides; both you and the listeners can learn more. Attendees get answers to their questions, while you can learn more about the interests of your audience. Moreover, you can collect feedback from your listeners to make your next webinar even better. Prepare a fake question in advance; if your audience is not active, this will help warm them up and get questions from real people. A webinar is a powerful tool for staying in touch with your audience. At the same time, it is a convenient way to share information and, for listeners, to learn something new. 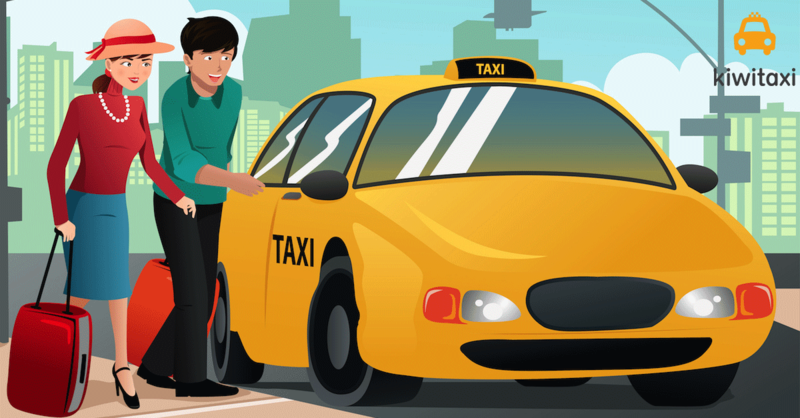 Don’t skip this amazing tool for earning in the travel niche. A webinar can surprise you with its sales conversion rate. Creating a webinar is not an easy task. We hope that our ultimate guide will allow you to create a high-quality webinar with high value for attendants. Don’t forget about monetizing the event. It is better to consider this during the first stage, while you are researching your audience. The 12Go contest is over and it’s a time to announce the winners. 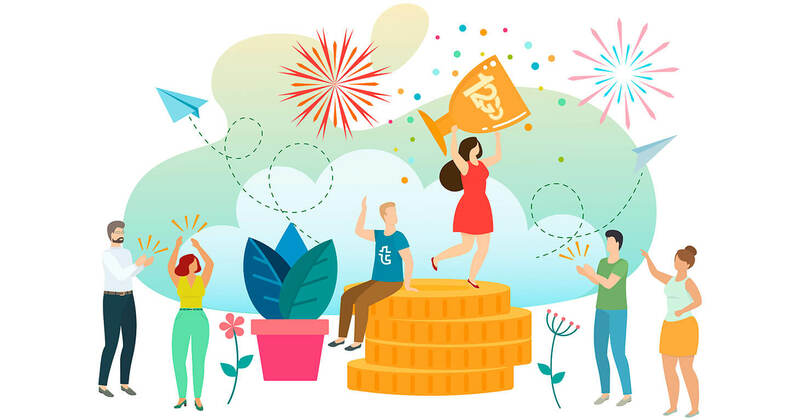 12Go and the Travelpayouts affiliate network team would like to thank all participants for their great work this winter and wish the best of luck for all affiliates and high income for their promising futures.